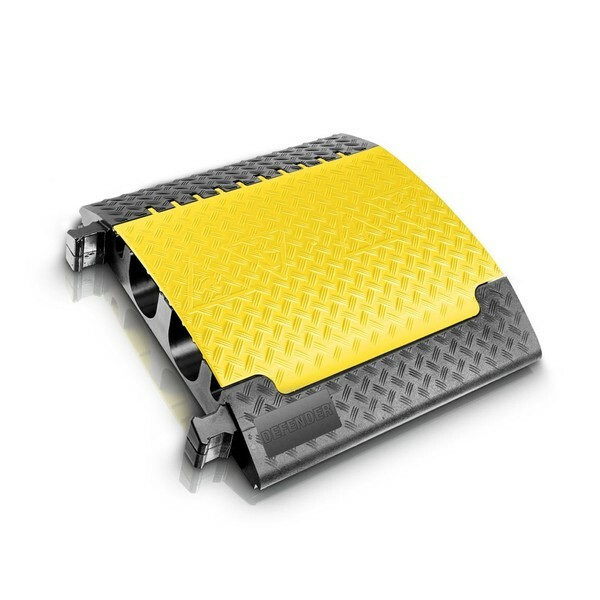 The Defender Ultra L Cable Protector is a large, heavy-duty cable crossover that features a four channel design - two smaller outer channels and two larger inner channels - and a slip-resistant textured surface. The integrated connectors allow you to quickly and easily connect multiple Ultra L sections together. 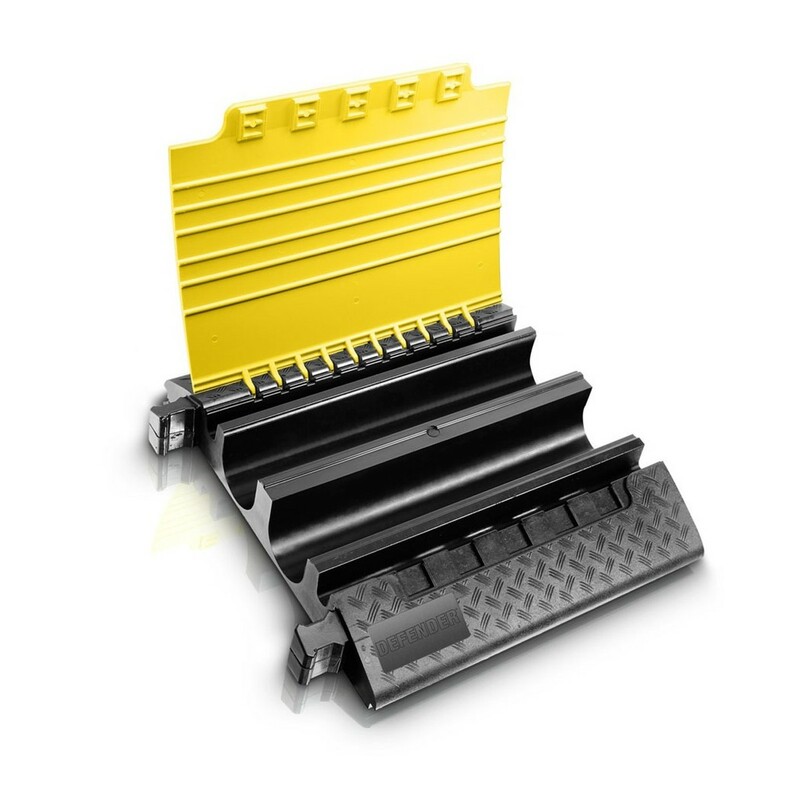 Made from durable polyurethane, the Defender Ultra L is capable of supporting vehicles and is perfect for both indoor and outdoor applications.